Having Difficulties With Crafting A Social Media Marketing Strategy? We know that we had a lot of difficulties when we first started working in the social media world a few years ago. But that’s normal. Everybody at the very beginning finds themselves in a delicate position because of not having an idea of where to start. 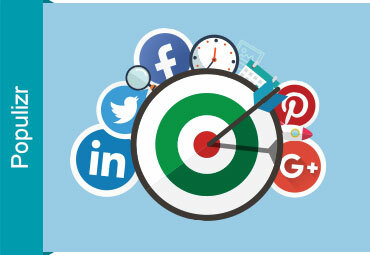 Someone may consider that as an obstacle that cannot be passed, but we will show how to overcome that obstacle and create an effective social media marketing strategy. Create links from the social media posts that will redirect your potential customers to your website. That’s how your website traffic will increase. Constantly engage with your customers by communicating with them and providing constant support. This is the only way to keep the loyalty of your clients. You need to be available at any time to answer any question that your customers want to ask because that’s the way to have a quality customer service. To successfully promote your product, you need to focus on creating unique and valuable content with the help of your social media accounts. That’s how your brand will be recognizable on the market. Social media is the right place when you’re looking for new leads and sales opportunities. With customer service, you provide direct interaction with your clients, and you should be available for them at any time. If you provide poor customer service, it will be harmful to your reputation. If you need additional workforces, human resources will take care of it. Also, by showing quality job postings on social media platforms, you encourage your employees to share them on the social media networks, and you provide a good image of your company. By interacting with your customers, you can ask them what they think of your product and receive an honest opinion. That will tell you whether you need to improve something about your product or service. The marketing branch needs to take care of advertising your product/products, and this branch has the highest importance in the creation of the marketing strategy. Facebook has over billions of users, and it offers an opportunity to reach a broad spectrum of potential customers. Thanks to the visibility that Facebook’s News Feed provides, you can easily promote your content and by doing that you will raise your website traffic. That will result in distinguishing yourself from your competitors. The advantage of Twitter is that it’s a great messaging social media network. At any time, someone can mention your company’s name, or you can join or start a conversation that is beneficial to your business. The best use of Twitter is as customer service. One great thing that Google+ provides is when someone searches your company on Google, a fragment of your business’s profile will appear on the results page. After you choose the right social media networks, the next step is to start creating content that will engage your customers. The content you can post can be a video, a status, an image. Make sure it provides a lot of value or some useful information for your current and potential customers. It’s good to keep track of your progress, and you can do that with the help of Google Analytics. Google Analytics provides a detailed report of everything that is happening with your website. Share your success so that your customers and everyone else can see that you worked hard to achieve everything. Now It Doesn’t Seem So Difficult To Create Your Basic Social Media Marketing Strategy, Does It? You can see now that it’s not that difficult to create an effective social media marketing strategy. By following every step that we mentioned above you can be sure that you won’t do some beginner’s mistake.